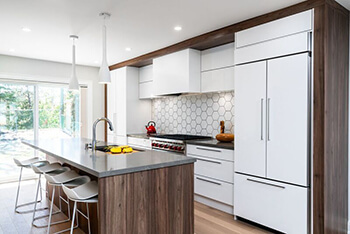 it's no wonder why some of Canada's biggest kitchen manufacturers rely on us. sure to please your company and your customers. WE CAN DO IT ALL - JUST GIVE US A TRY! so we're happy to review any requests for custom specialty orders. you'll be sure to find a door you'll love! 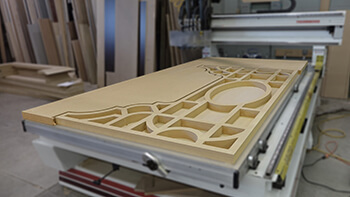 drawer box component and custom cabinetry CNC cutting. individual part labels, shelf boring, hinge plate and drawer slide guiding holes and full customization. 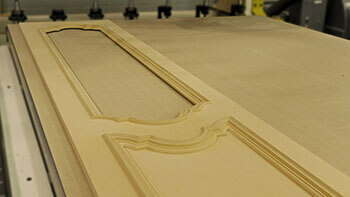 Custom MDF Products available to complete your project! WE’RE NOW GREENER THAN EVER! We’re proud to announce that after careful research and planning – we have partnered with one of the first wood recycling stations in North York! 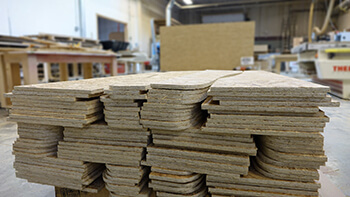 Now, all of our manufacturing waste is transported to waste-to-energy plants who use our by-product as a fuel to generate clean and renewable energy. 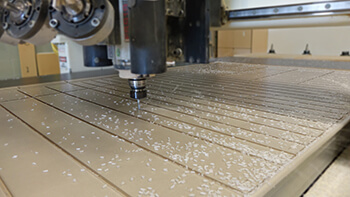 To ensure we make the highest quality products, we stay up to date with the latest materials and technology. This means utilizing only the best machinery and partnering with the pro’s. 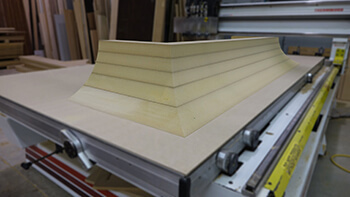 We’re proud to introduce our hard-working, versatile and precise Homag Edgebander! 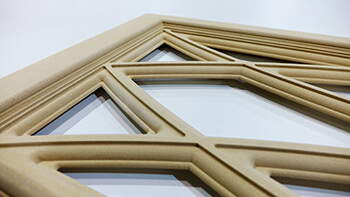 Characterized by it’s durability and stability properties, Tricoya is Suitable for a wide range of exterior applications including door panels, window components, fascias, trim, side and more! 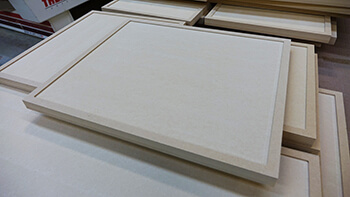 Our MDF doors are made from a single piece so there are no joints or opportunity for expansion or contraction; this prevents paint cracking due to fluctuations in temperature and moisture. 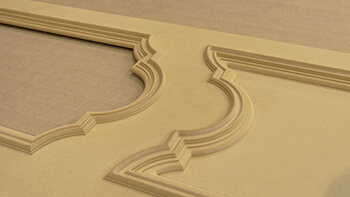 The smooth, uniform surface is ideal for painting and it’s composition allows for incredible design flexibility. 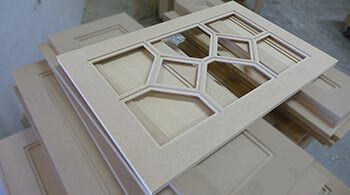 Our doors come fully sanded and ready for finishing. 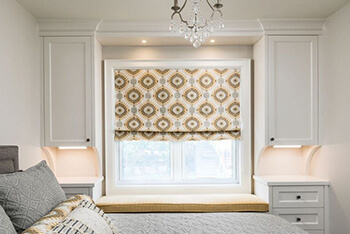 Additionally, we offer design consultation services to ensure you have your perfect door and custom components for your projects! 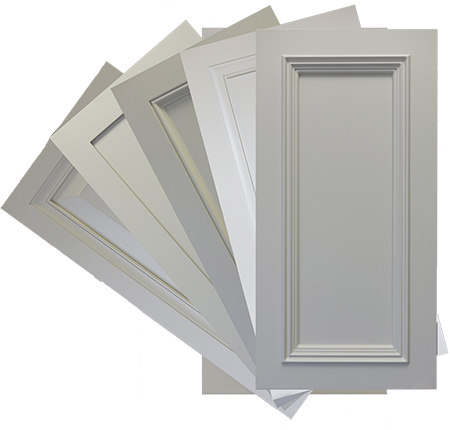 Our standard line of European slab doors come in a variety of colours, patterns and finishes. 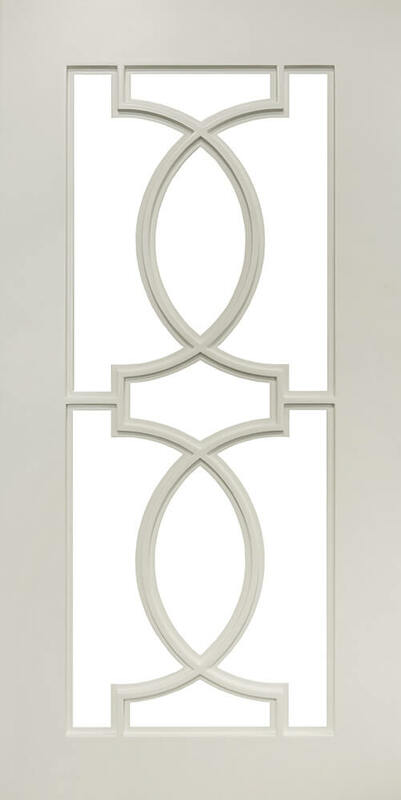 Utilizing state-of-the-art edge banding machinery, our doors come complete with matching 1mm edge tape. 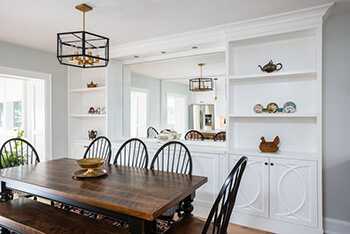 Custom cabinetry often requires mitre joint connections, and while wood filler can do wonders when you’re working with unfinished solid wood and MDF – the same can’t be said for High Gloss PET. 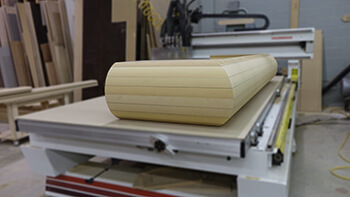 Our innovative programming and cutting process enables us to produce relief cuts that allow PET material to be folded. This create a seamless return without exposing the core material and subjecting it to vulnerability. Got your doors? 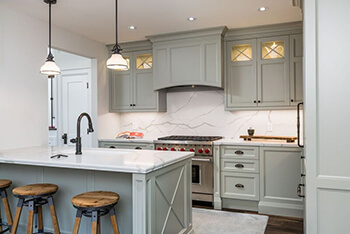 Why not get your cabinets cut too?! 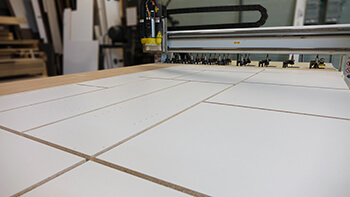 Our CNC programming ensures that you get the best yield out of your material, can provide pilot holes for standard Blum drawers and hinge plates, and make assembling a breeze thanks to our comprehensive labels. 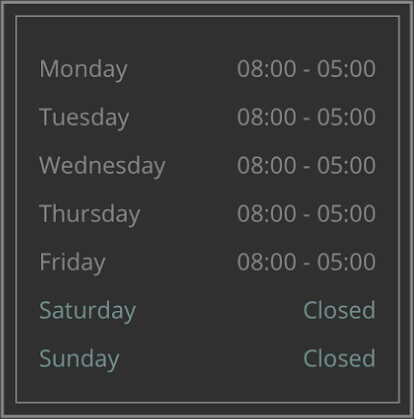 Our speed and accuracy will save you time and money. 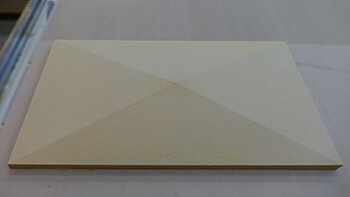 Work with acrylics, plexi, solid wood, laminate, particle board etc. 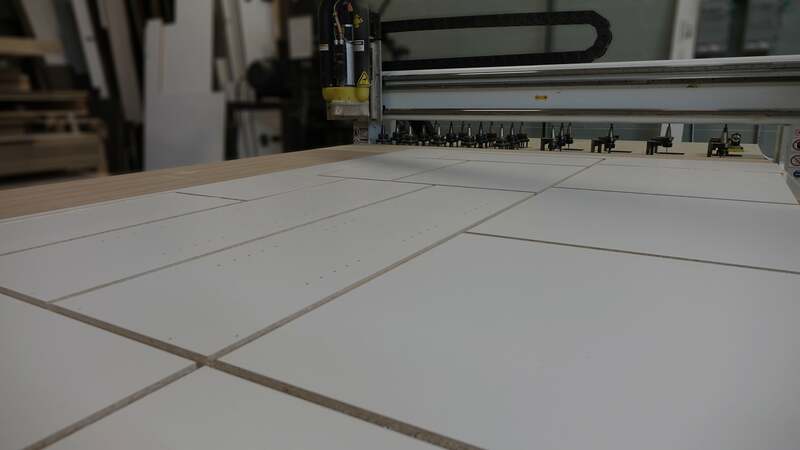 We welcome the opportunity and any requests to create custom components specific to your unique projects and needs. 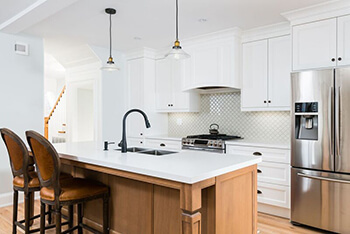 We accepted drawings with all the necessary measurements and specifications in addition to AutoCAD files. Get us your project for review and we will provide you with a quotation and timing. 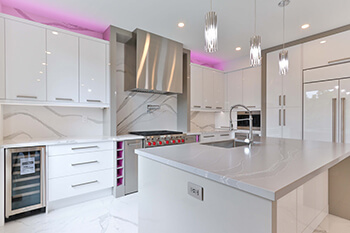 Feel free to contact us with any requests – you’ll be impressed with what our expert team can offer.